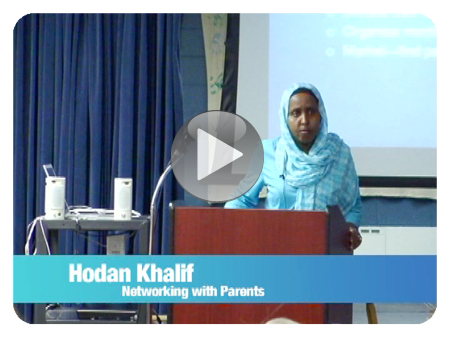 Hodan Khalif highlights the importance of identifying Somali parent leaders who can engage those parents most in need, as well as the importance of mutual dialogue and respect between teachers and parents. 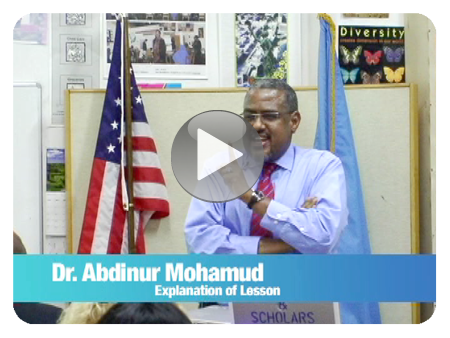 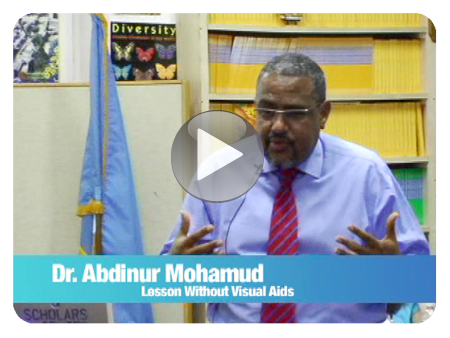 Dr. Abdinur demonstrates lesson in Somali without visual aids. 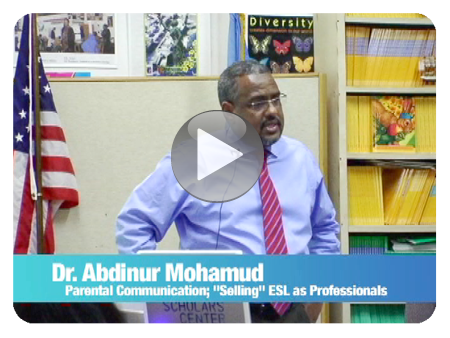 Dr. Abdinur and class discuss problems that arise when a child is taught academic content in a second language without visual aids. 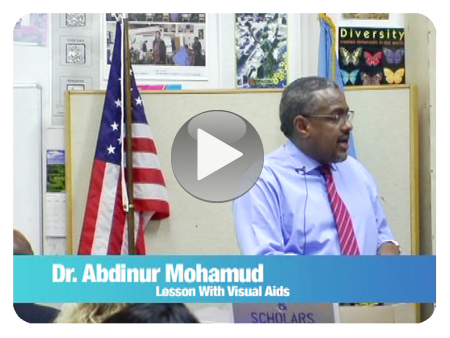 Dr. Abdinur demonstrates lesson in Somali with visual aids. 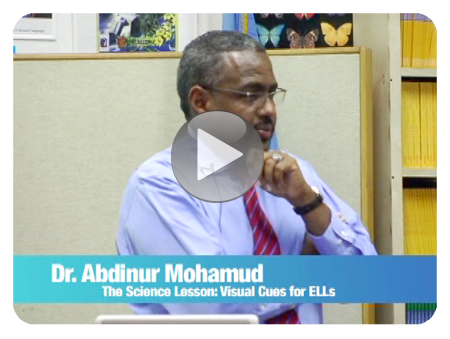 Dr. Abdinur and class discuss how comprehension is improved with the use of visual aids. 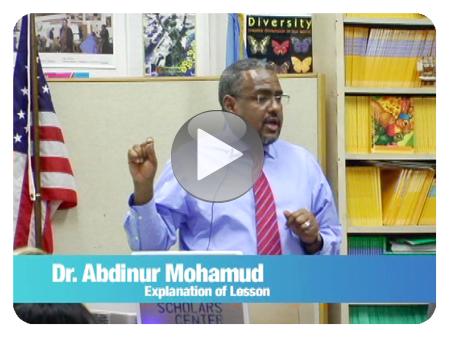 Dr. Abdinur explains how educators can draw upon their professional expertise in addressing Somali parents’ resistance to specialized services for their children.